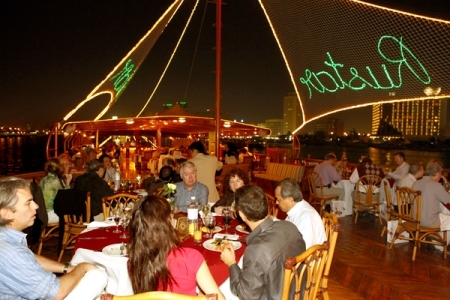 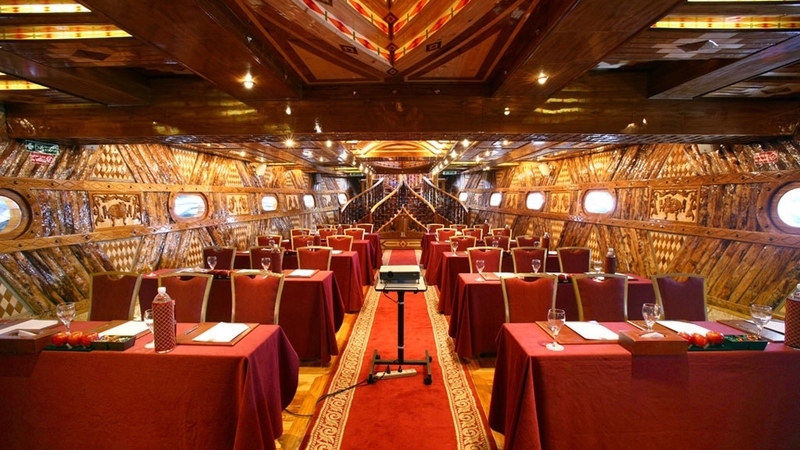 Enjoy your dinner at the largest floating dinner dhow in the world, where 400 people can dine at a time. 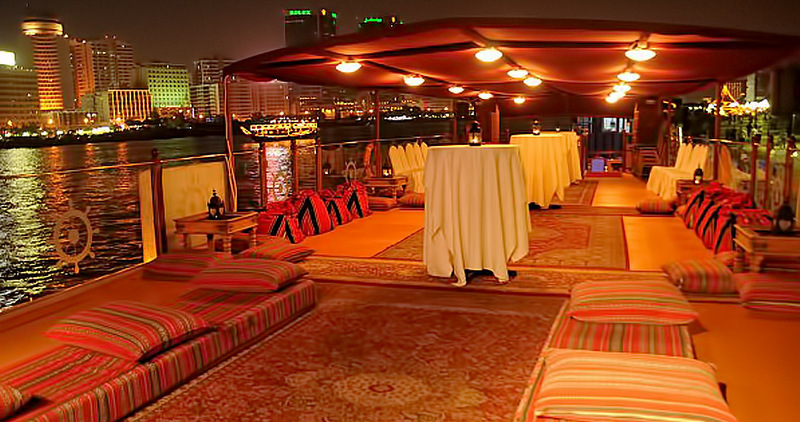 With a Red carpet welcome with Arabic Coffee and Tea welcoming you in a 3 deck facility. 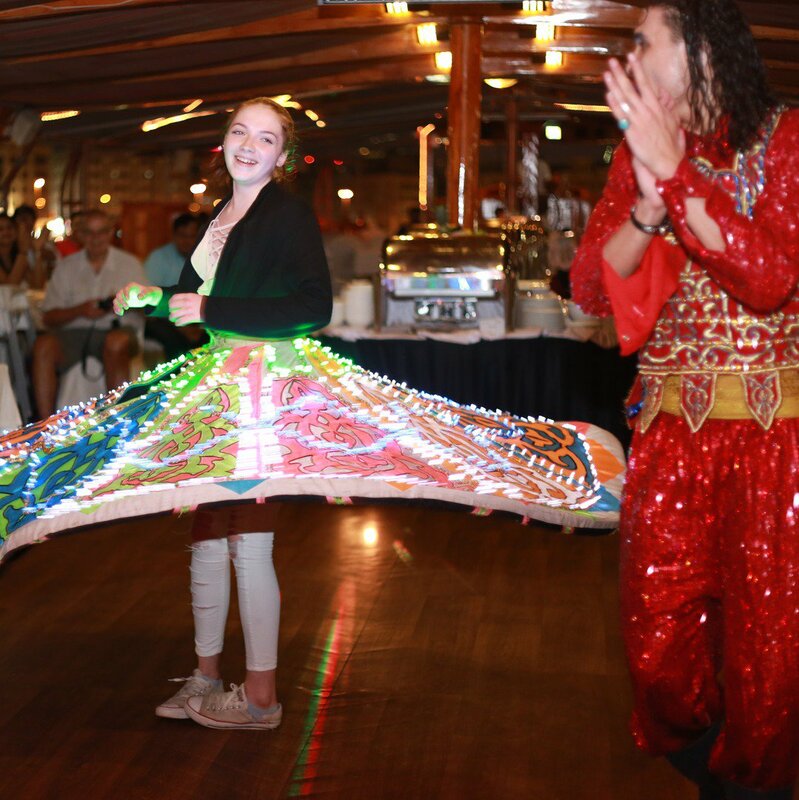 Live Singing, Tanoora Show, Dancing Horse Show and Henna will keep you entertained through the evening. 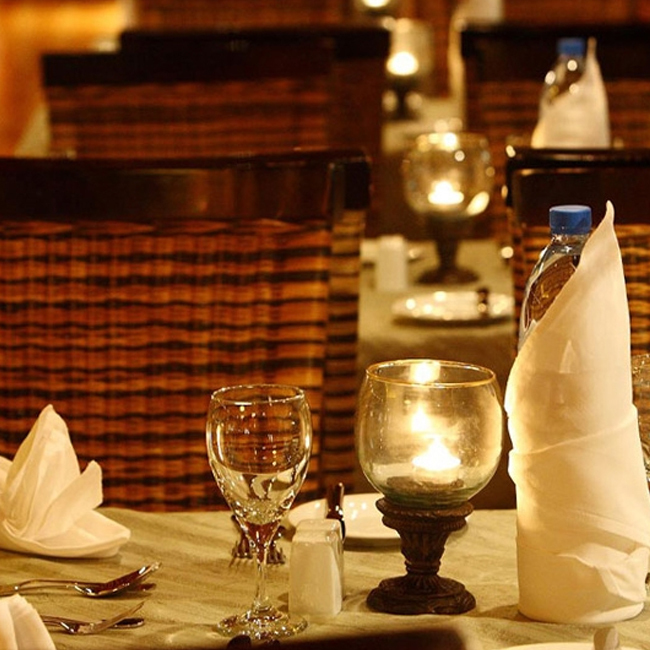 It is all about the novel experience on the one and only rustic Arabian Environment amid the modern facilities, the royal treatment, and fascinating interior and purely delicious five star food. 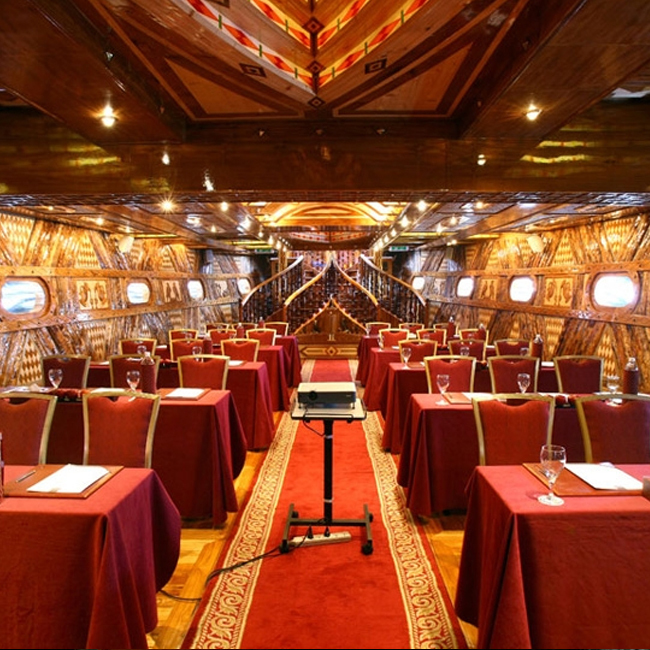 Sharing a bus, to a traditional welcome on board with hot/cold towels and Arabic coffee and dates, followed by the assignment of individual tables for our guests. 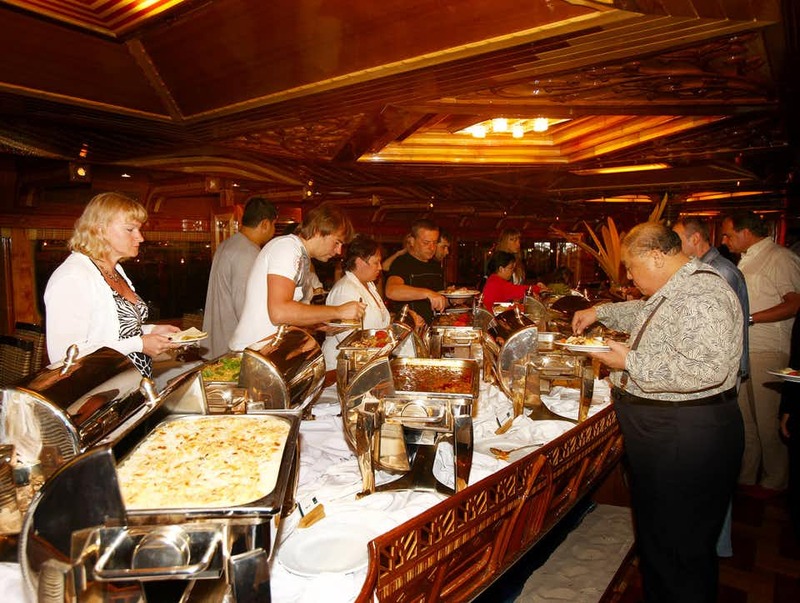 To provide personal space to our customers, we never merge tables on our cruise. 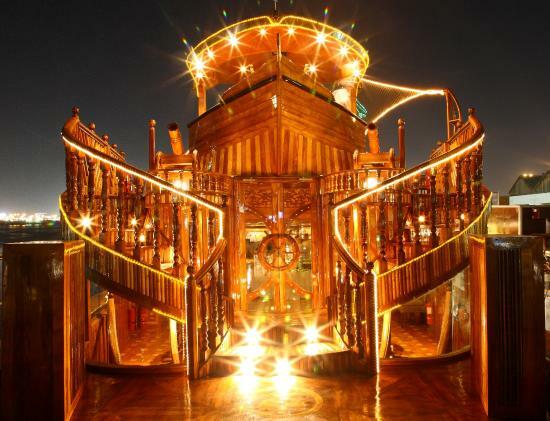 The 5 star Dhow Cruise traverses through the beautiful Dubai Creek, so there isn’t only much to see on the inside of the dhow, but the view outside is nothing short of breathtaking as well! 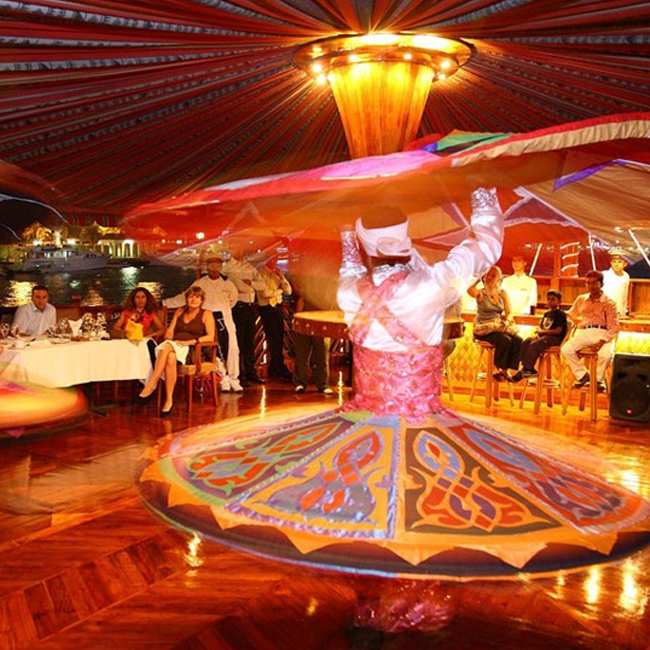 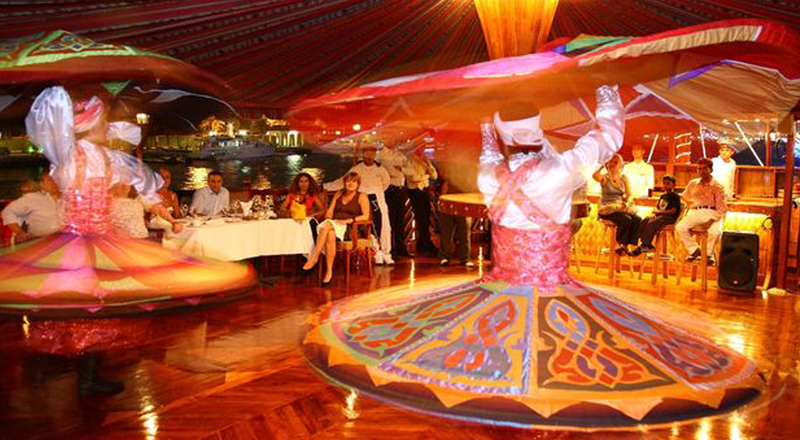 The traditional Egyptian show, Tanoura, brings a slight sense of vertigo as guests will witness a high-speed swirling dance and even get to try it out themselves. 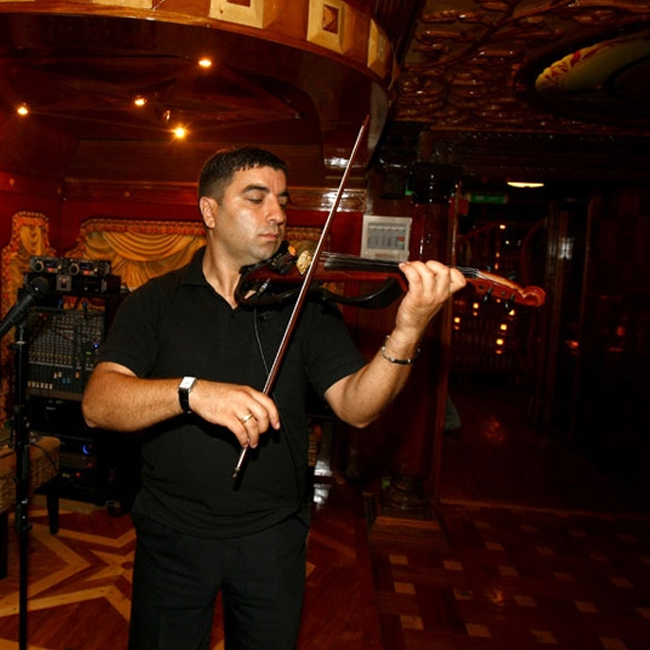 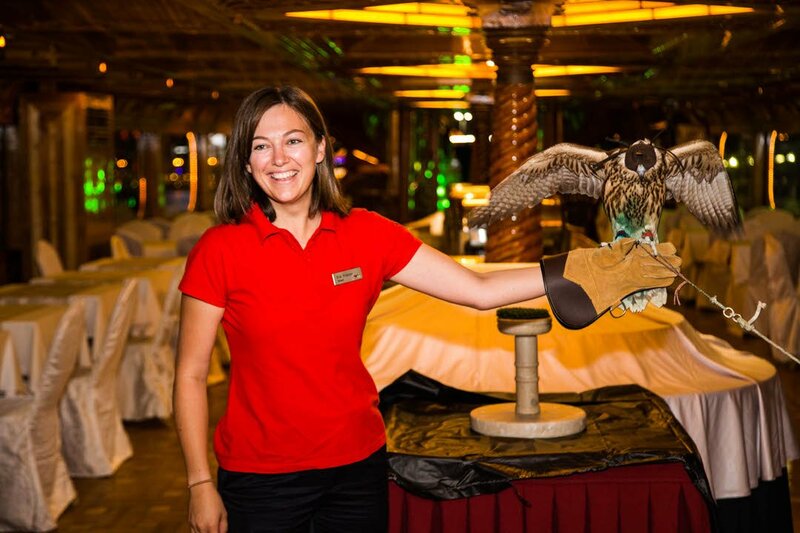 Live singer, to enchant the guests with her voice and create a romantic atmosphere during the entirety of the cruise. 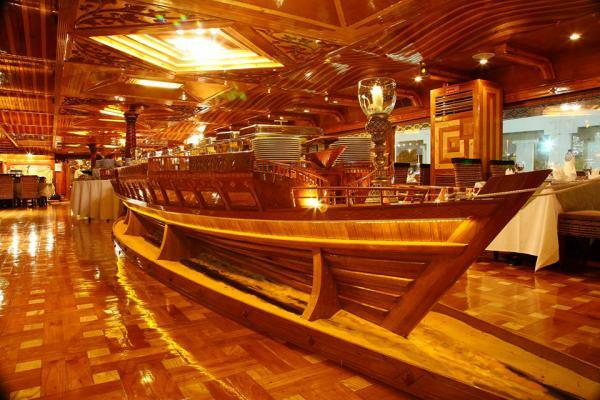 Sand Art and souvenirs counters, shedding light on traditional designs and ornaments of the UAE. 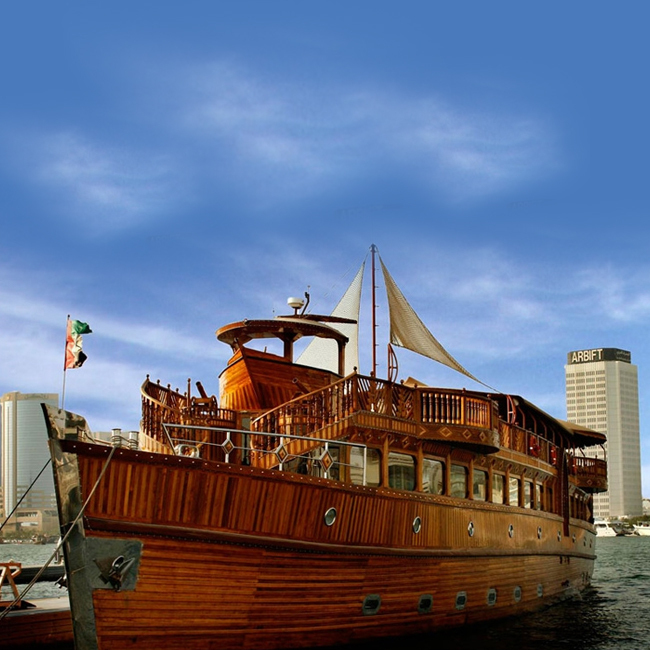 Professional photography services are also provided to capture the memorable moments of guests aboard on our floating restaurant.